Touch is so important when making memories. I always educate my clients about the importance of printing your images, your memories. For this reason, all wedding and portrait packages come with professionally printed images for you and your family to hold, to frame, to remember. 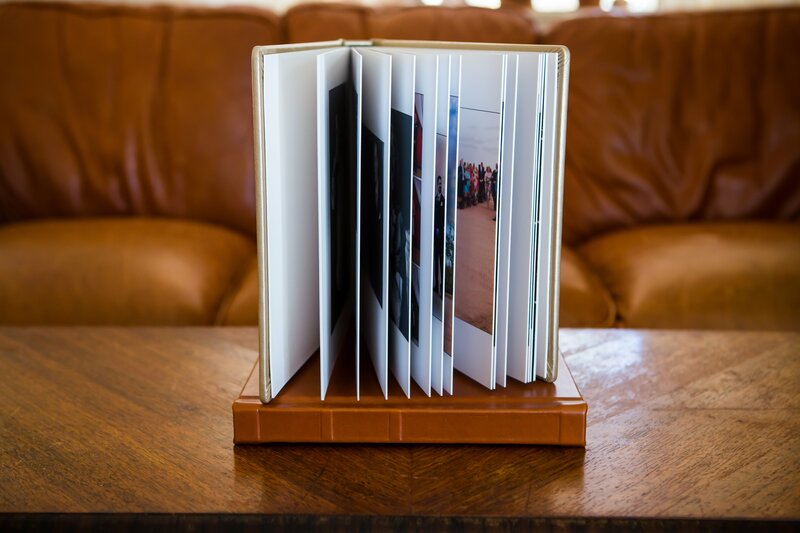 My hand-crafted wedding and portrait albums are of the highest quality and made here in the USA. I want you to see up close just how amazing these albums are. Simply click PLAY on the photo to the left to watch a video of the albums I offer. Every album is personally designed by me and customized by you. Your first true family heirloom that generations can enjoy for years to come.